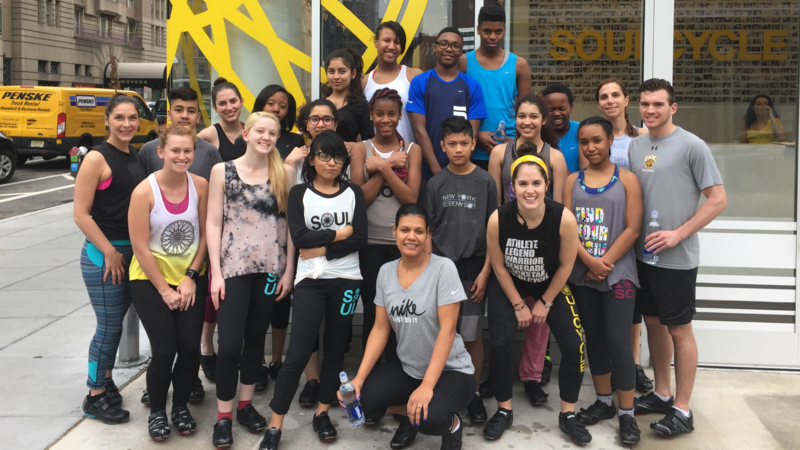 How did you decide to get involved in the SoulScholarship program? My background is in social work, specifically children's mental health. 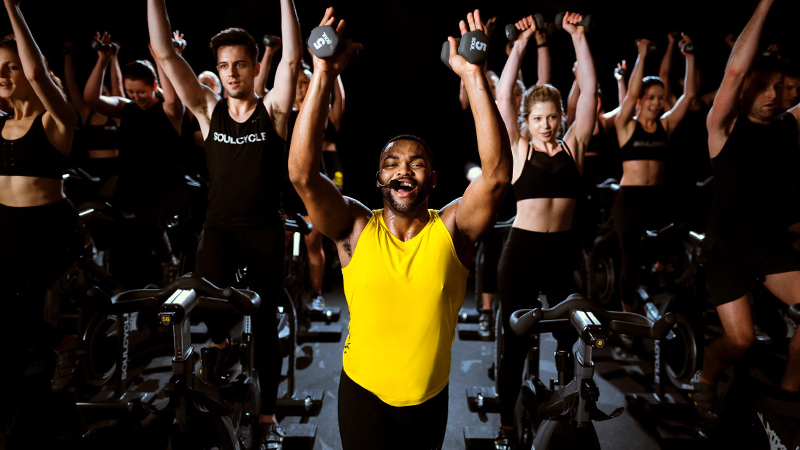 After speaking to Julie Koster and Ashley Mashishi, who run the program, about its mission – connecting kids with ways to improve their physical, mental and emotional health, just as we help adults every day at SoulCycle – I was on board! Do you remember your first interaction with the students? Yes! 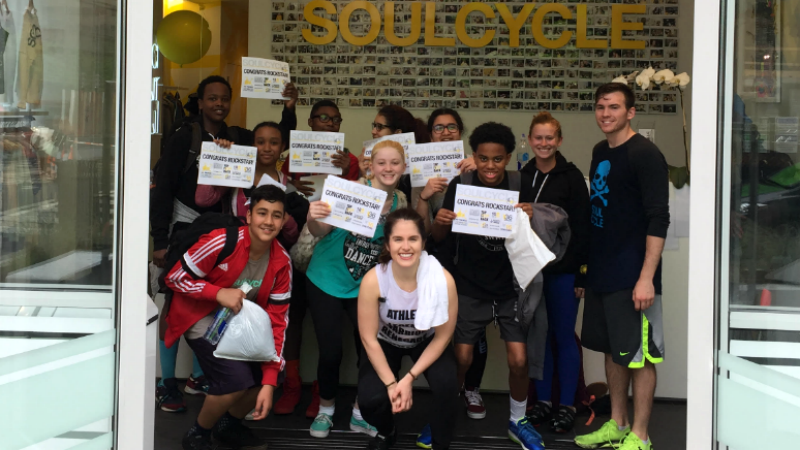 The school invited me to come talk to the students about what SoulCycle was. They were hilarious and gave me the best playlist of songs that included "Buy U A Drank" by T-Pain. I knew I was going to like these kids A LOT. Is teaching a room full of SoulScholars different than teaching any other SOUL class? I was so surprised by how much regular riders responded to the students -- everyone wanted to ride with them! 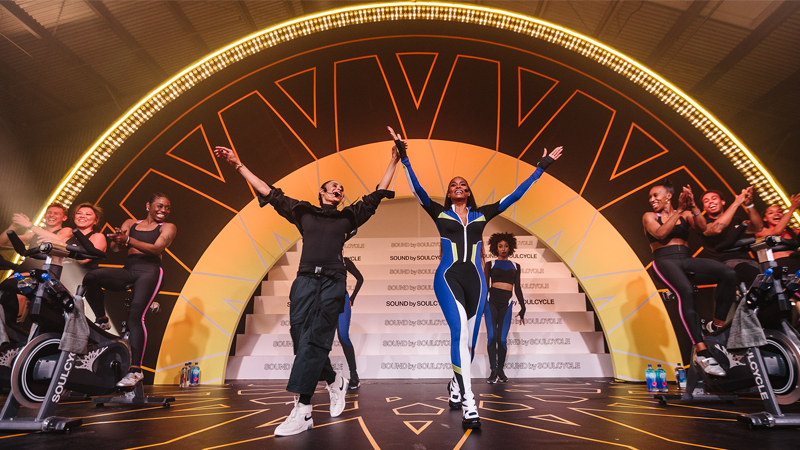 The classes were PACKED and the energy was so incredible. Everyone works that much harder. The kids are super inspiring to be around and they help pick the music, so they really respond to hearing "their" songs! Love it! What has been the most memorable part of the experience so far? 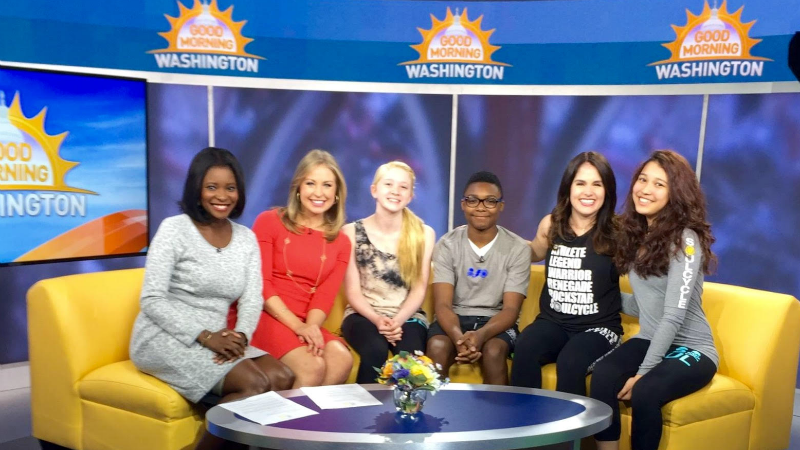 The students and I were able to go on Good Morning, Washington to talk about our experience with SoulScholarship. They were SO excited and hearing how the program impacted them was really emotional for me. What were you most surprised by in your interactions with students? Just how quickly they were able to absorb information. I feel like I have to help adults set up bikes or explain resistance more than five times, but these kids just GOT IT right away. Their strength, smarts and independence are inspiring. They made me want to be better everyday. What do you want to tell riders about the program? 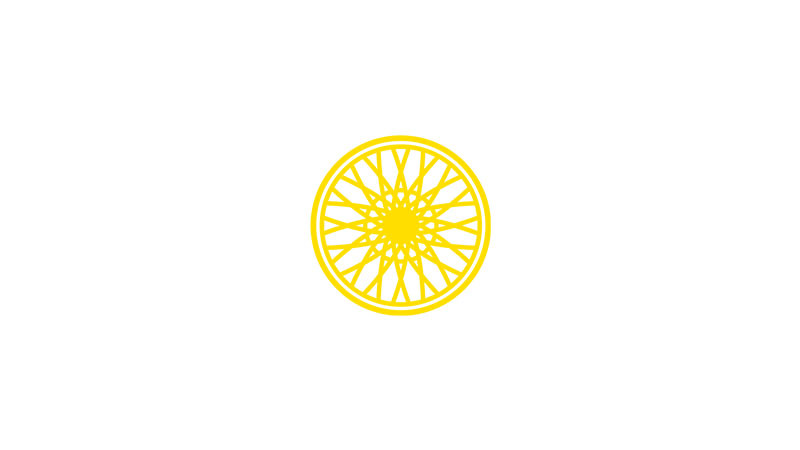 SoulScholarship is an amazing way to connect to the community in a new way and also provide perspective. I think it's really easy for us to get comfortable in our day-to-day routines, taking for granted our ability to come take class whenever we want. Many people in our community don't have that luxury -- kids included. I think this program is as much about the SOUL community as it is about the kids. We all need to be reminded to be grateful everyday. 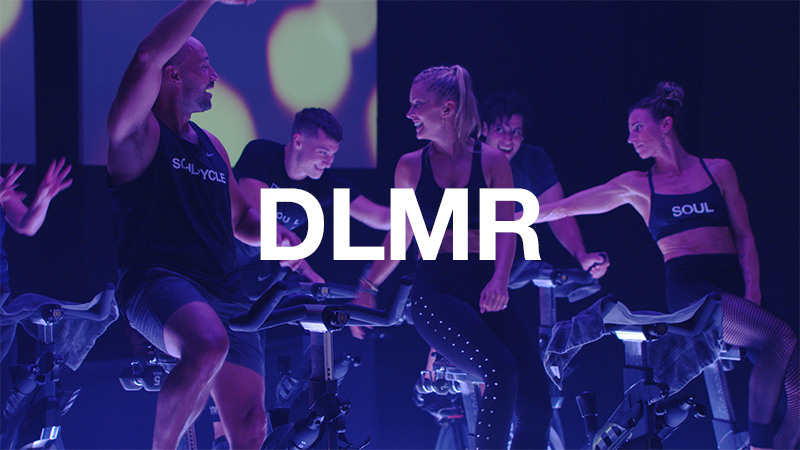 Also, what better way to get kids to build a relationship with health and wellness than sweating on a bike?! Come ride with the students! We ride in Bethesda at 5:30 PM on Mondays and Wednesdays starting October 17th! We are partnering with an amazing organization called CollegeTracks that helps students lead a successful path to getting into college. I’m so grateful to Julie and Ashley for ALL they do to help us run this in DC! To learn more about the SoulScholarship program and how you can help, click here.